Many of us suffer from what we term “misfiring neurons.” These are brain cells that almost constantly send impulses that don’t pertain to what we’re trying to use the brain for. This can manifest as lack of focus, motivation, clarity, and energy. 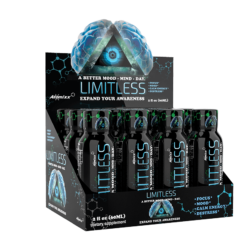 Click HERE to learn the science of how Limitless works as a brain focus supplement. 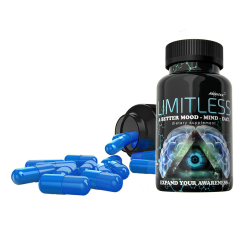 The Limitless blend is designed to selectively seek out those overactive parts of the brain and calm them down. When the mind’s overactivity is placed under control, a wave of clarity and a boost of energy can find itself in its place. This energy comes without the side-effects of other focus/energy supplements on the market. Well, the shorter list would be what it couldn’t do for you. 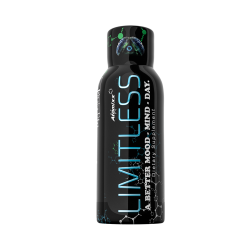 Limitless is designed to help alleviate the barriers that prevent us from reaching our potential, such as fatigue, lack of focus, lack of motivation, anxiety, poor mood, etc. It is also designed to assist in memory formation and overall awareness, among other things. Ever Wish You Had A Cheat Code For Those Extra-Tough Days? So did we. Whether you're looking for mental focus, calm energy, a mood enhancer, or just to unwind and be the best version of your stress-free self, you've found it. 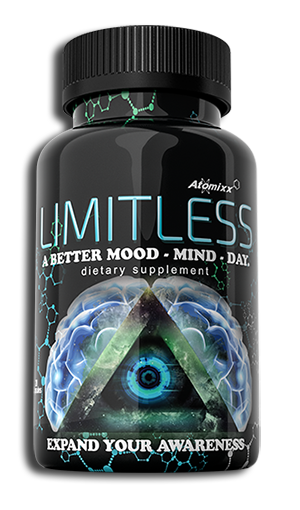 Limitless is designed to calm the overactive areas of the brain to provide a smooth experience without the side-effects of other supplements! A close relative of GABA, our most prominent inhibitory neurotransmitter. GABA helps to selectively seek overactive brain cells, and calm them down. However, when taken orally, GABA is unable to cross the blood-brain-barrier into the brain. The added phenyl group lets it cross easily, allowing it to support a smooth & relaxing, yet alert mental focus free of distraction. Choline is the precursor to acetylcholine, a very important neurotransmitter associated with memory and awareness. Many people do not consume the necessary amount of choline in their diets for tip-top brain function and stamina. If you picture the "cognitive" aspect of your brain as a car, choline is the gas. Ginkgo Biloba has been dubbed “the brain herb” in traditional medicine. It is a time-honored herb which has been used for centuries to improve blood flow to the brain, aid in memory formation, and reduce anxiety to name a few. It is also an extremely powerful antioxidant. Our proprietary Ginkgo Extract is standardized to contain all of the most effective compounds the plant offers. Vitamin B-6 is required for many biological processes. It assists in the production of neurotransmitters, helps in adrenal function, and protects the health and function of the central nervous system. Vitamin B-6 also acts as a coenzyme, assisting the body in the conversion of food to usable energy. Have no fear, you won't be jittery, we promise. Caffeine gets blood pumping, especially through the heart and brain, with the aim of allowing Limitless to take effect quickly. 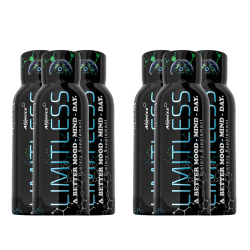 There is approximately as much caffeine in a cup of coffee per serving of Limitless. When paired with the amino acid L-Theanine, it allows for a very smooth, jitter-free experience. All of our ingredients are tested multiple times for purity analysis, both before and after manufacturing. Limitless is manufactured in state-of-the-art FDA-compliant cGMP facilities. Most importantly, our reviews across the web don't lie! 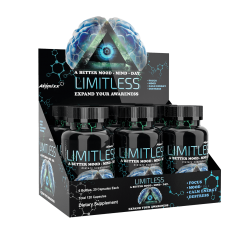 Click Here To Become Limitless! 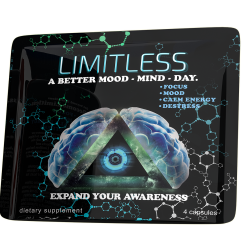 Click Here To See What People Say About Limitless!